Dillu’s mother, Leela Mansukhani. lived with her parents in Karachi. Dillu herself was born post partition. Leela went to Santiniketan to study where she met and married Benode Bihari. 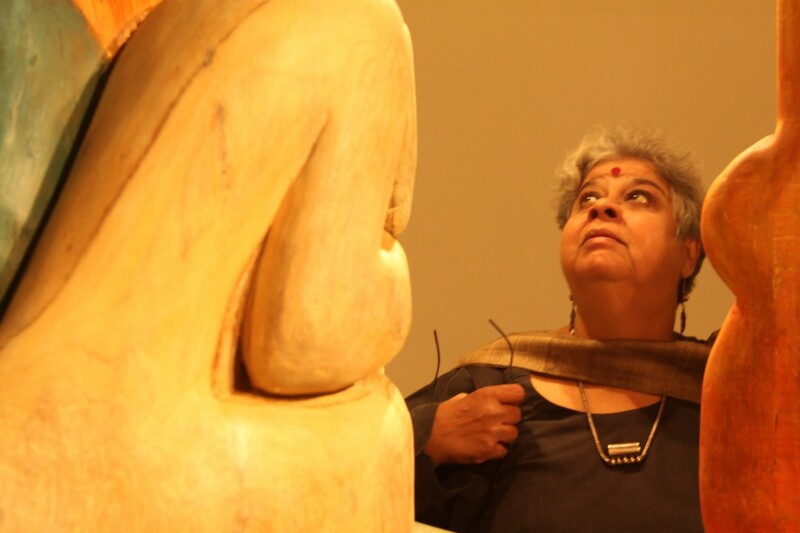 Narrated by by Dr Leela Advani to the artist Nalini Malani who is four years younger than Mrinalini. 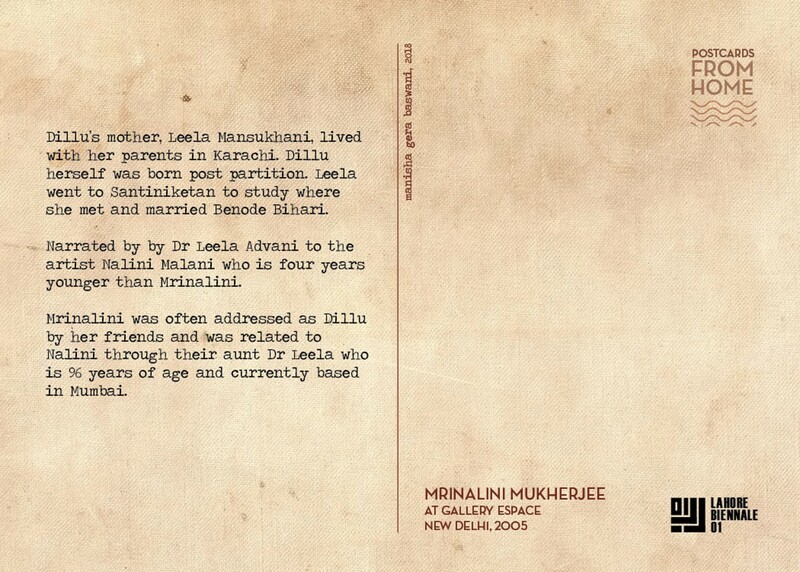 Mrinalini was often addressed as Dillu by her friends and was related to Nalini through their aunt Dr Leela who is 96 years of age and currently based in Mumbai.